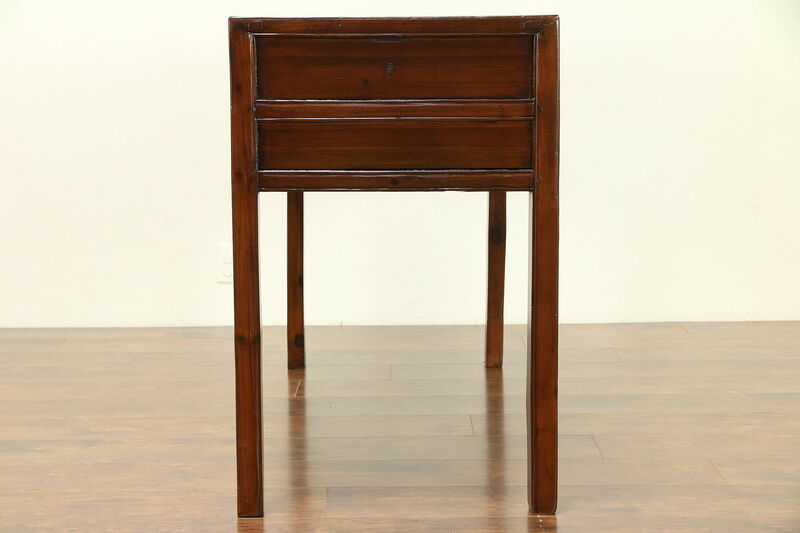 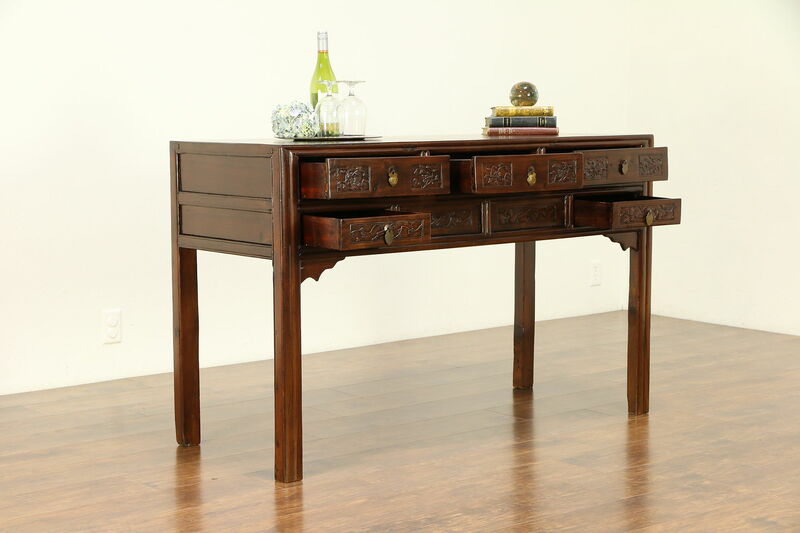 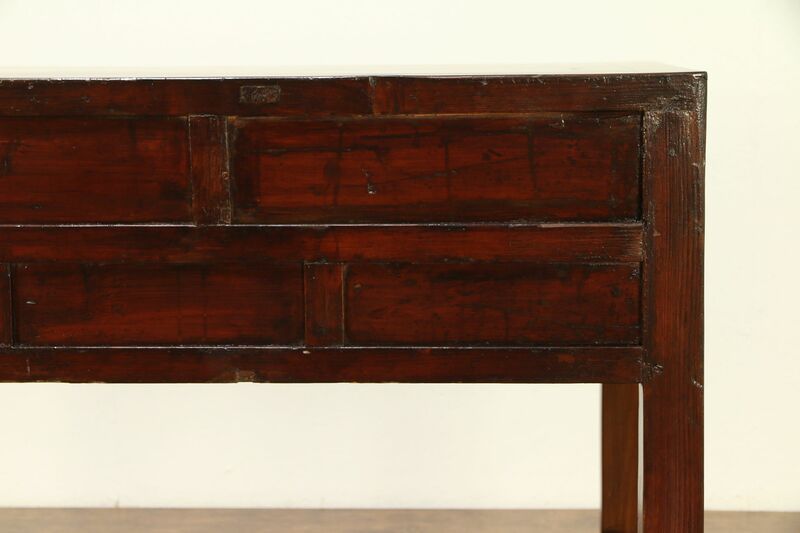 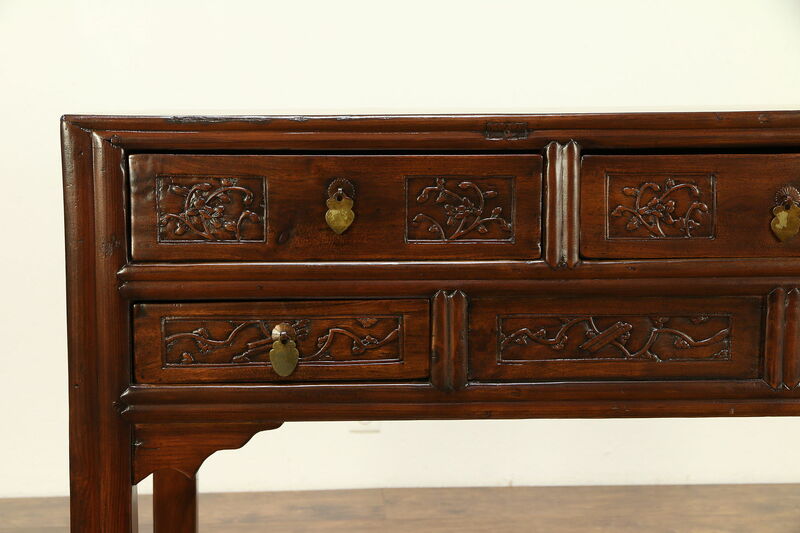 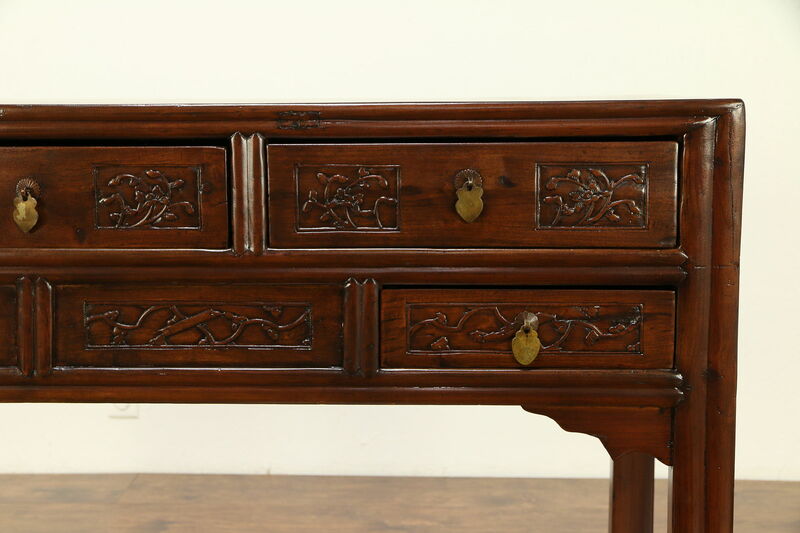 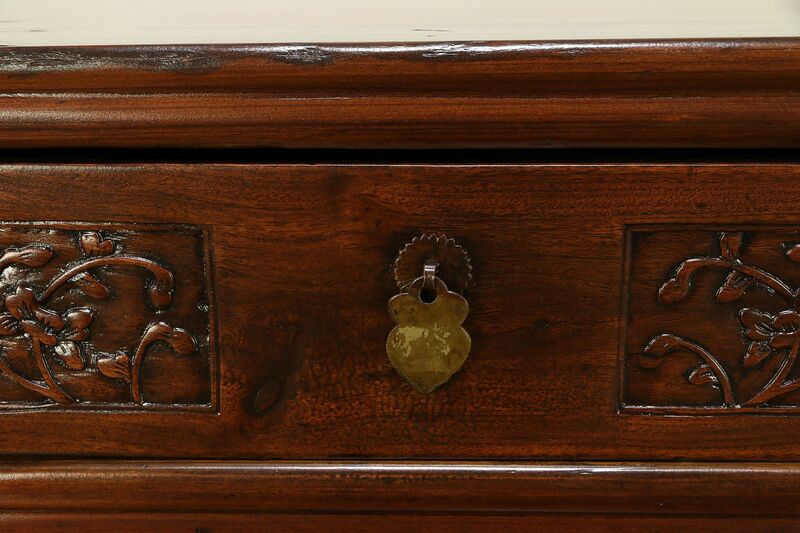 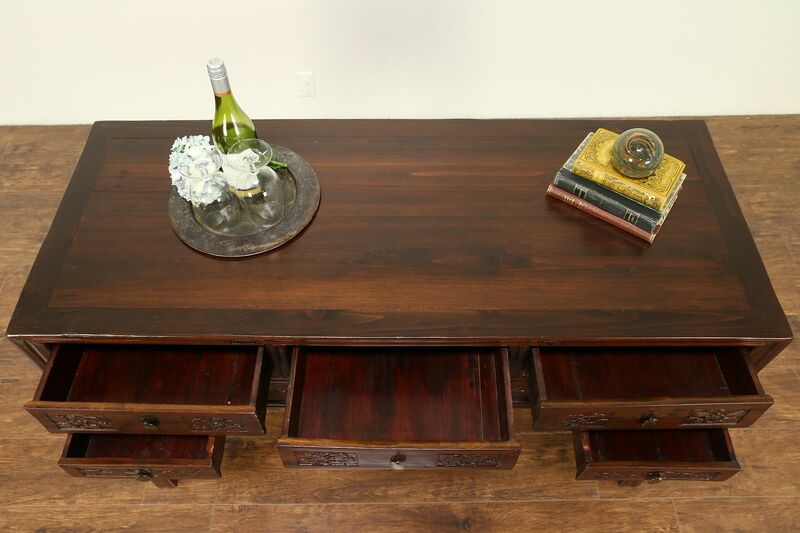 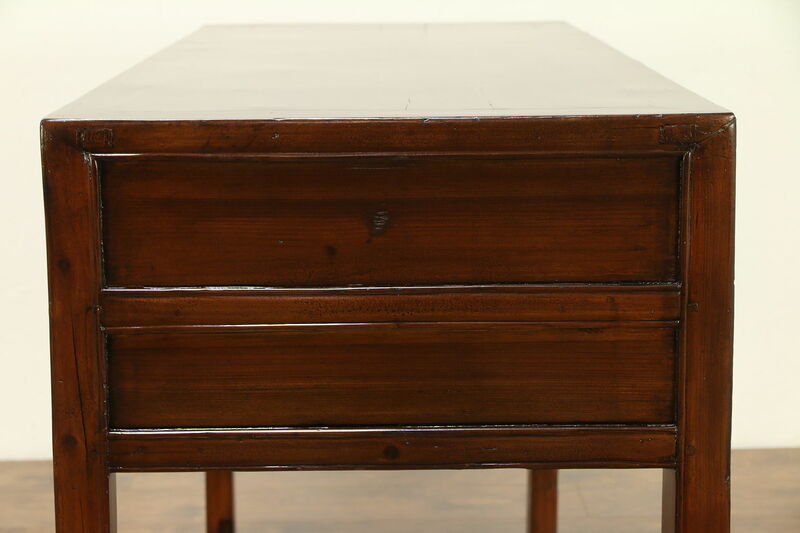 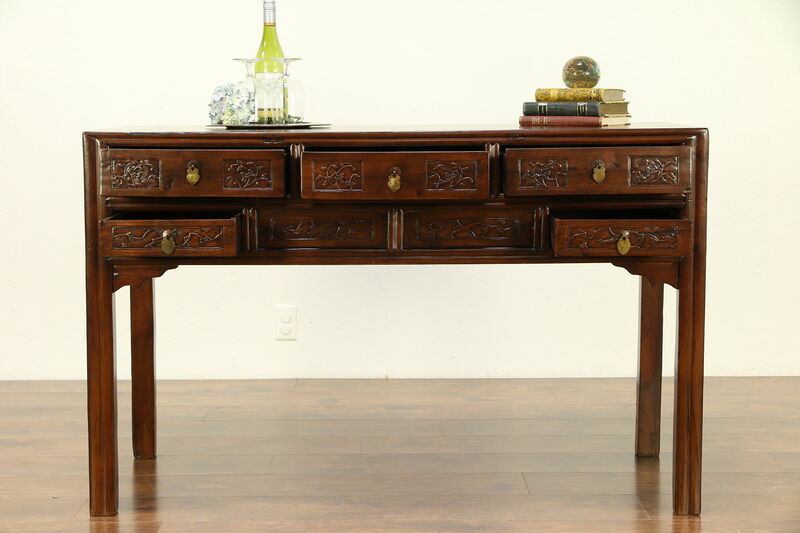 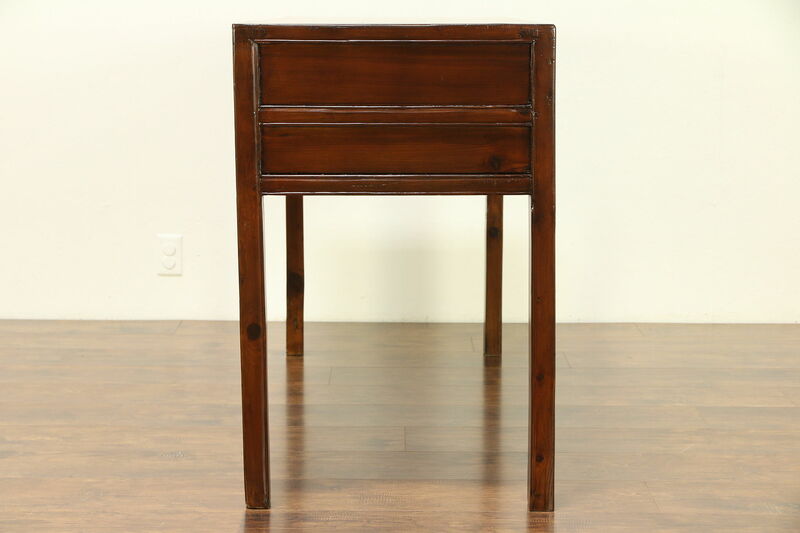 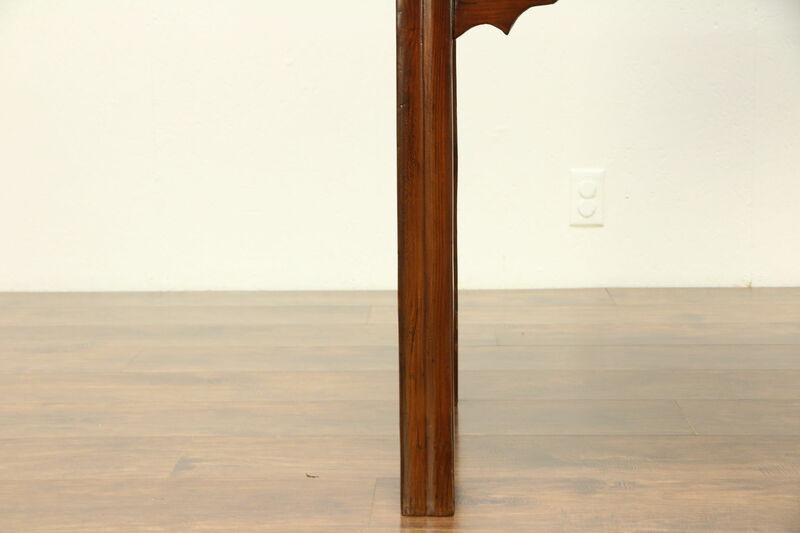 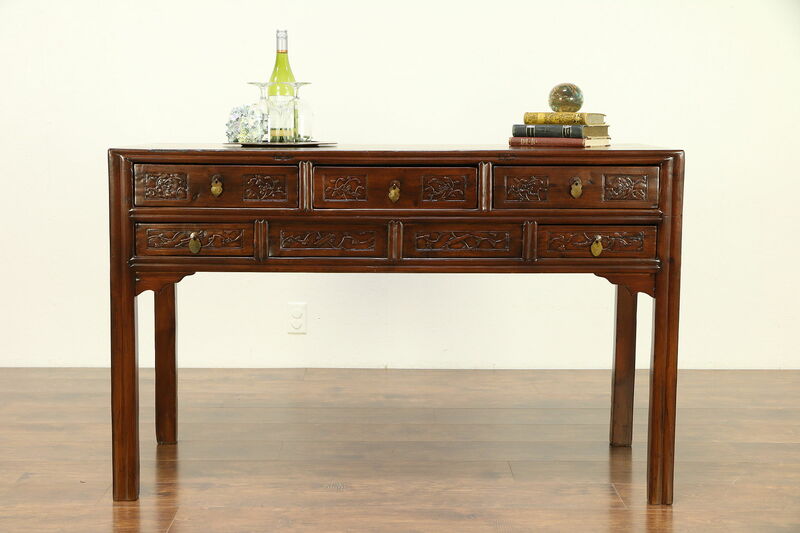 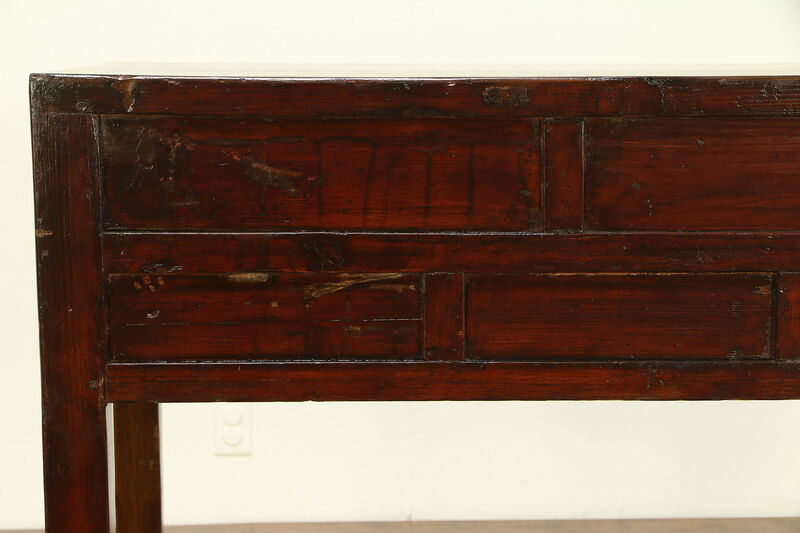 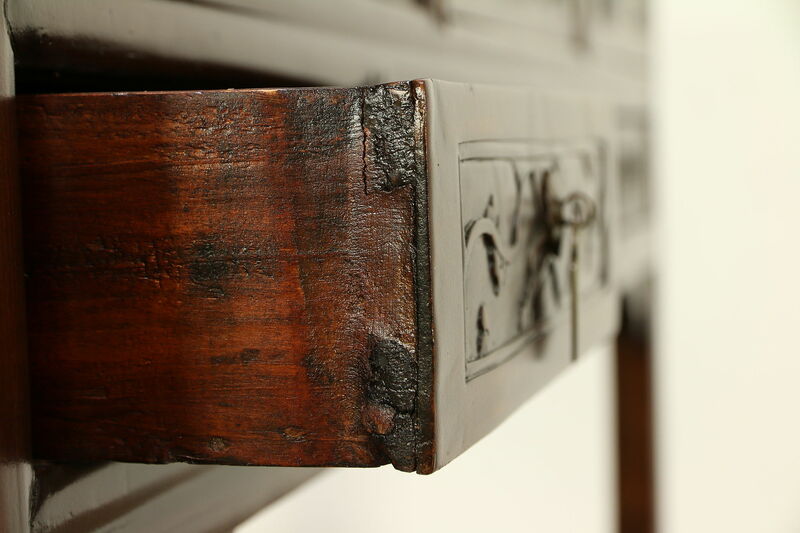 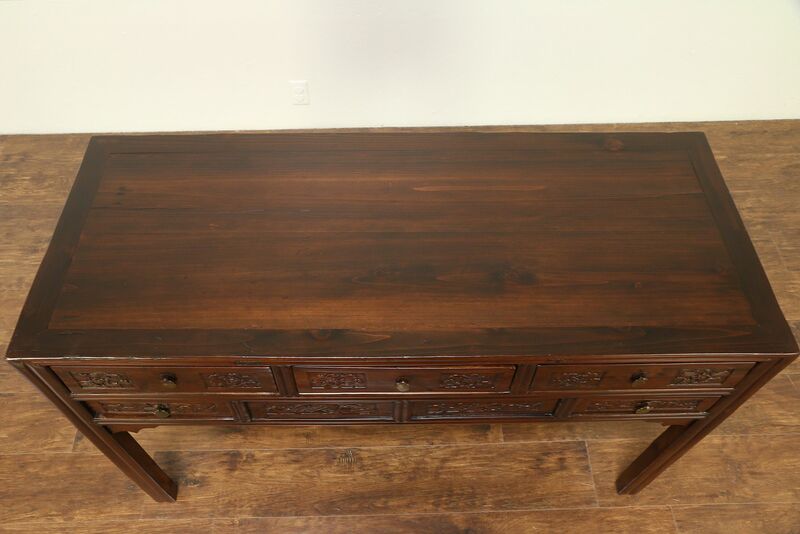 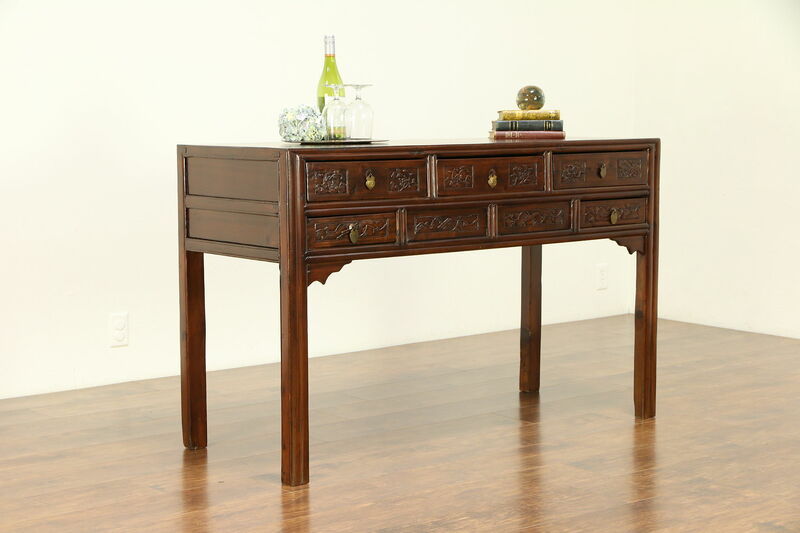 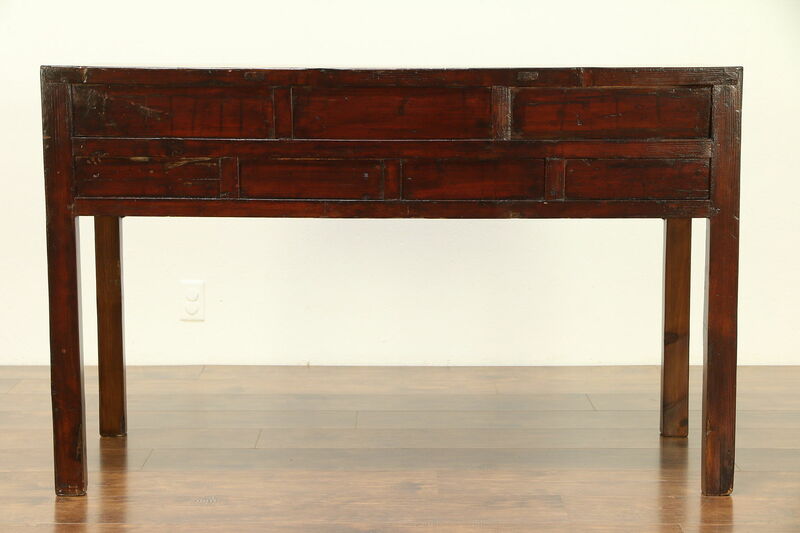 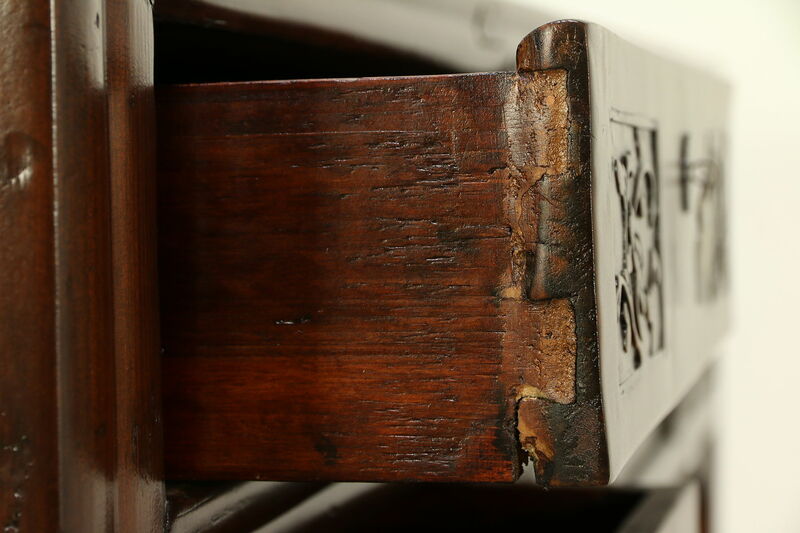 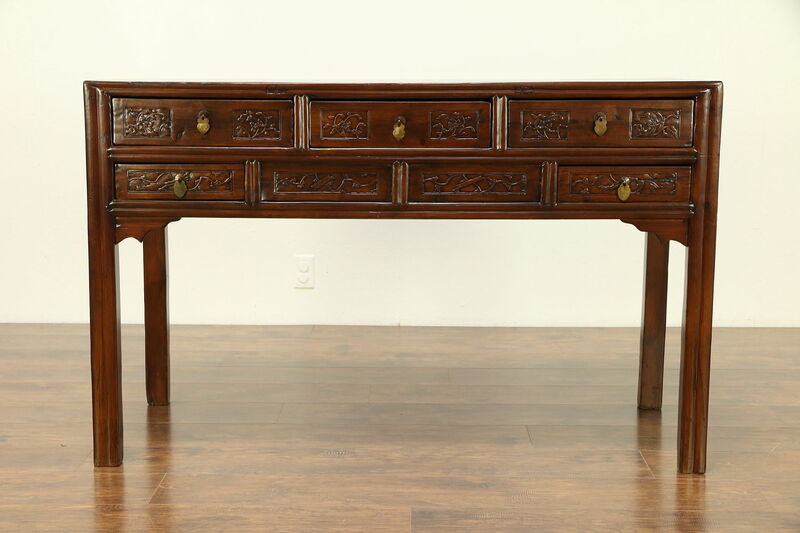 A Chinese hall console or sofa table was hand carved of solid pine around 1900, and has a secret compartment below the center drawer. 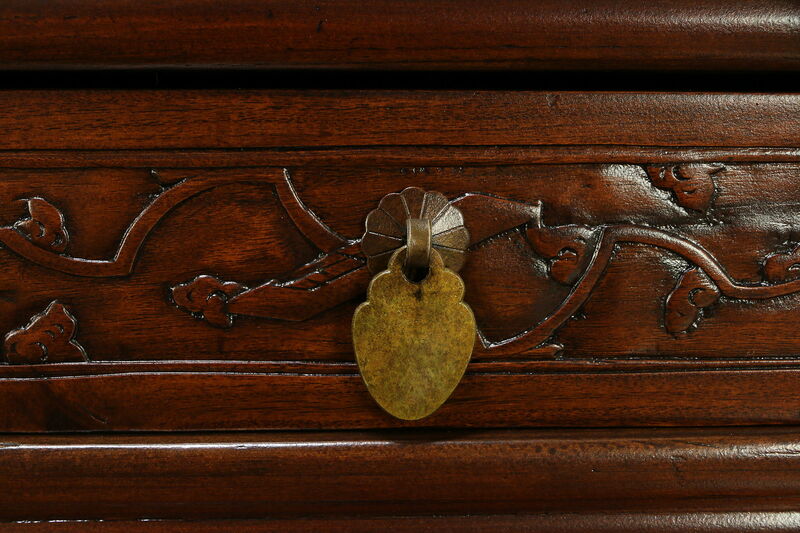 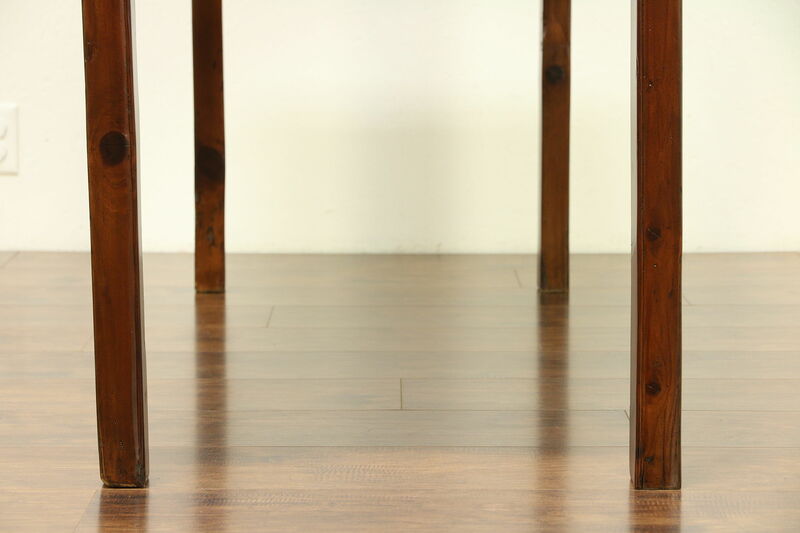 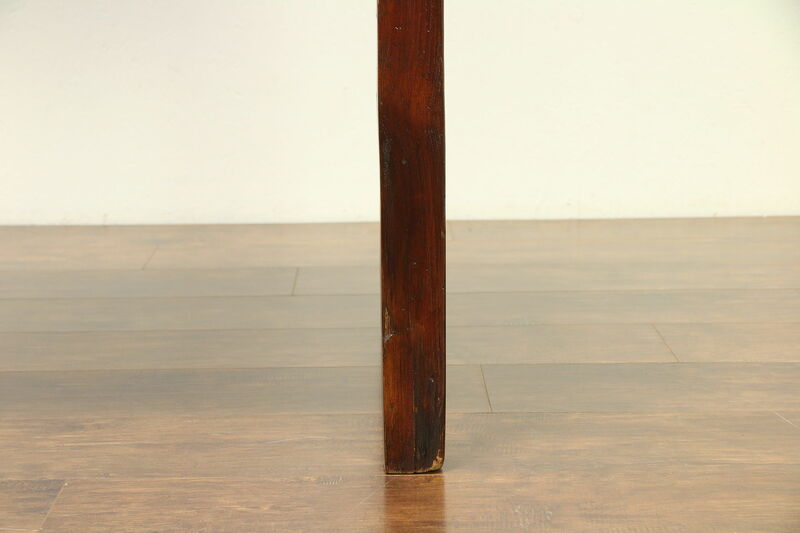 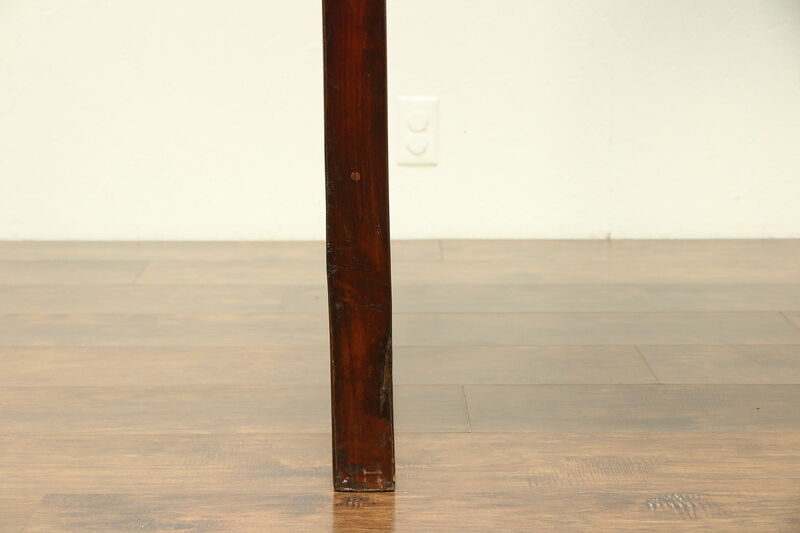 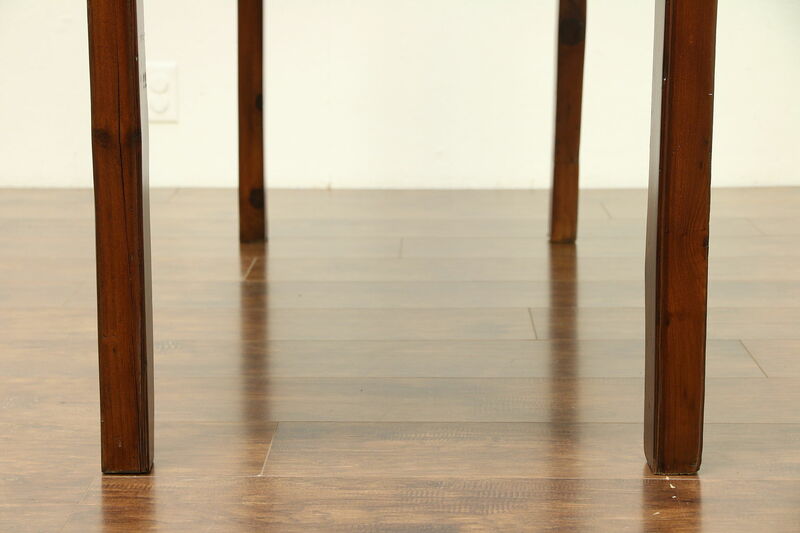 The restored deep finish preserves just enough mars and shrinkage separations from age for a little antique character. 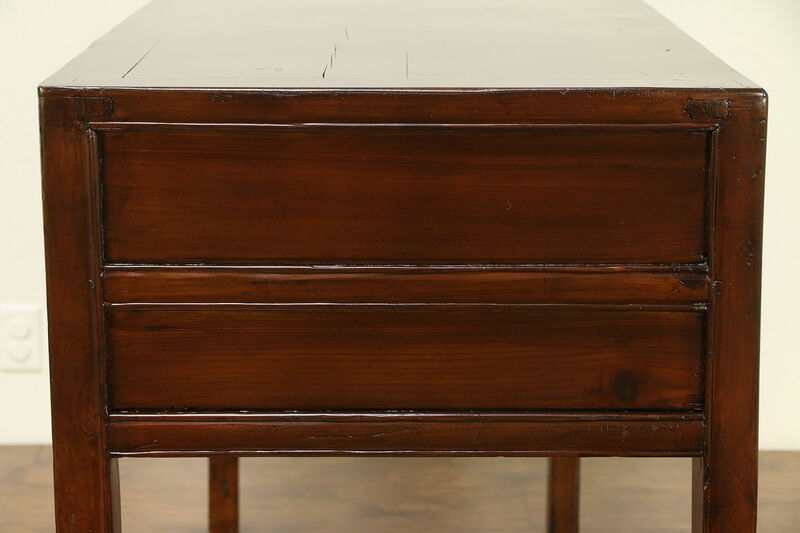 Five drawers have hand cut dovetail joints and original drop pulls. 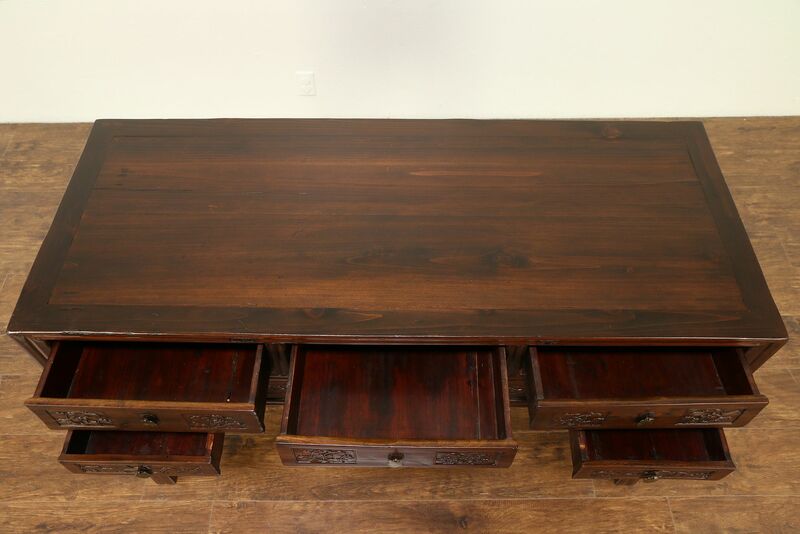 Size is 54" wide, 22" deep and 34 1/2" tall.